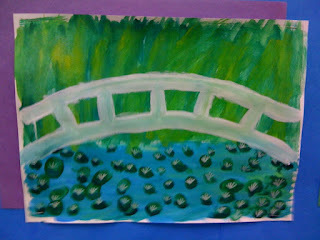 These are paintings that my Grade 2 class did last year. 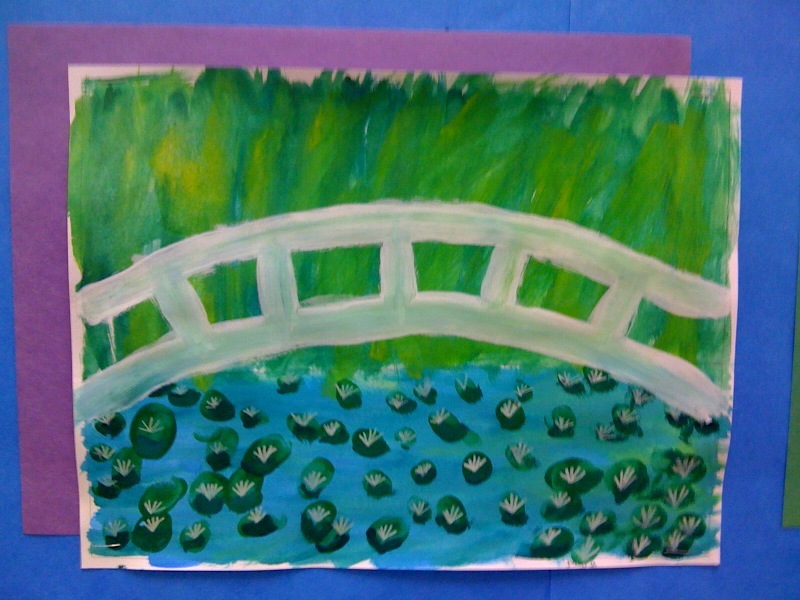 We did a mini-unit on Claude Monet. 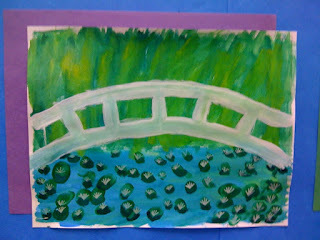 My students really enjoyed working with water colours to create a replica of Monet's Japanese Bridge. We did them over a few lessons. I first got the students to draw the bridges with white pastels so that they would still see the bridge even after covering them with paint. We used different shades of blue and some purple for the water. They experimented with yellows and greens and even some blue for the upper portion of their painting. 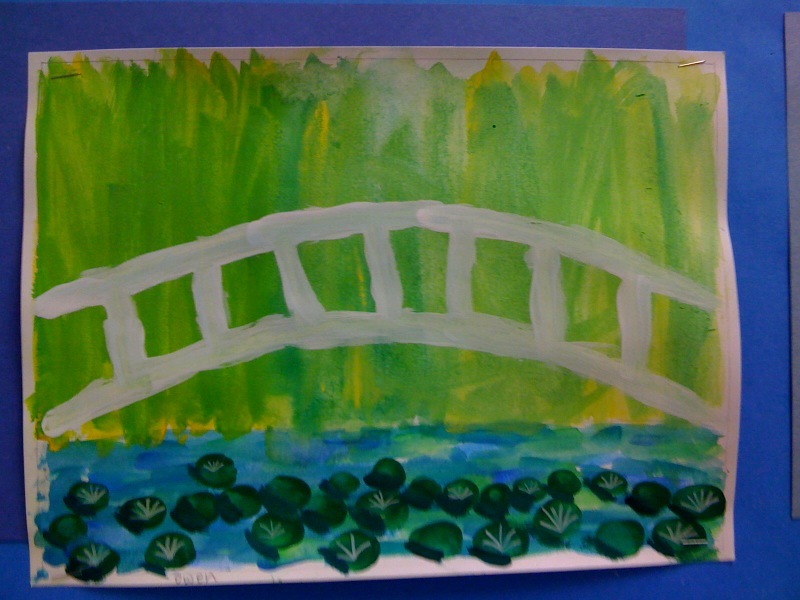 When the paintings were dry, they went over the bridge drawings with white paint and used various shades of green to create the lily pads. Final touches to the lilly pads were made with white and pink pencil crayons. You really do nice work with your kids. Thanks so much for sharing. It analysed 30,000 of the most serious debt problems it sees in its bureaux and found that while 10% of these were suffered by 17-24 year olds, Instant Payday Loans Online accounted for 62% of the credit used by this age group. Only 8% of the 3,000 youngsters were in debt because of mainstream credit such as overdrafts, bank loans or credit cards.